Round Valley goes to the dogs, but what of the animals already there? 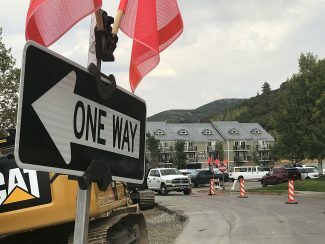 Dogs will rejoice on Friday, as Park City debuts a large off-leash area in Round Valley. But other animals in the wildlife-rich ground stretching outward from the edge of Park Meadows toward Quinn’s Junction and the Snyderville Basin could be faced with a new disruption as the pets are let off leashes. 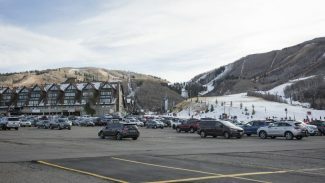 Mayor Jack Thomas and the Park City Council did not dwell on the issue of wildlife as off-leash areas on City Hall land in Round Valley and the field outside the Park City Library were approved at a meeting last week. Wildlife was only peripherally broached in the public discussions prior to the approval. A state Division of Wildlife Resources conservation outreach manager said on Monday he had not been briefed about the off-leash area. "Just be careful if you have dogs and you take them out," Scott Root, whose division territory includes Park City, said, adding, "Please keep your dog away from any big game animals." He said deer and elk inhabit Round Valley and moose are occasionally found there. Animals like moose, elk and deer see dogs as a natural predator, he said. Root said dogs are tempted to chase deer or other wildlife. Moose, elk and deer can inflict serious injuries to dogs or kill them, Root said. "Don’t approach wildlife if you have a dog that’s not leashed. Don’t get even close to them," he said. The City Council in creating the off-leash areas required that dogs be under what is referred to as voice and sight control. A dog that is under voice and sight control must not "chase, harass or disturb wildlife or livestock," according to a City Hall report submitted to the elected officials prior to the decision. They must immediately return and stay with the owner upon command, the report says. Several speakers during a hearing prior to the approval last week addressed wildlife issues in their comments about the off-leash area. One speaker said the wildlife loses in confrontations with dogs, noting that a mountain lion was recently put down after killing a dog in the Snyderville Basin. Another person, worried about habitat in Round Valley, requested a wildlife study be conducted. City Hall did not conduct a wildlife study prior to creating the off-leash area. 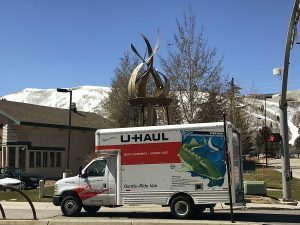 A not-for-profit dedicated to wildlife issues once operated in the Park City area, disbanding two years ago. The Wildlife Protection Society followed development and other issues that impacted animals. Judy Perry, one of the organization’s cofounders, said she disagrees with the City Council decision to create the off-leash area in Round Valley. She said she did not follow the discussion, though. "If animals chase wildlife, they’re really putting the wildlife in danger," Perry said, adding that an animal like a moose could kill a dog. She said wildlife is in "extreme danger" at this point of the year since the animals are searching for food. "The animals are in a survival mode in the winter even if they aren’t chased," Perry said. "They’re doing all they can to find enough food to eat."